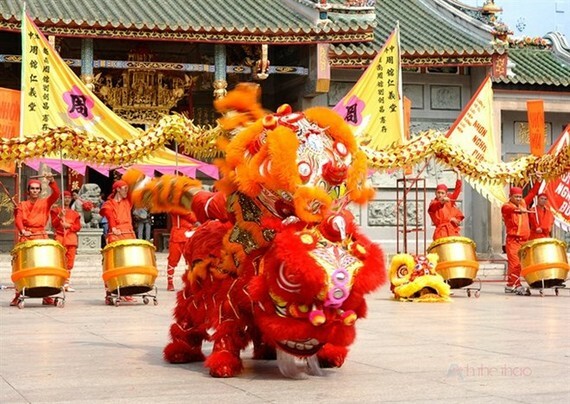 The city’s tourism promotion centre said 16 lion dance teams of Vietnam will perform free for visitors at the centre from 4pm to 10:30pm on September 14-16, while the contest will run on the nights of September 15 and 16. Families and children will practice with craftsmen in making lion and kylin lanterns from paper and bamboo at the centre in preparation for the Mid-Autumn Festival, which falls on September 23-24. Helio, the biggest entertainment centre on September 2 street, will run a free entrance night market from 5pm to 10.30pm each day, offering food, beverages, souvenirs and an entertainment zone for kids. Da Nang currently runs a night market and pedestrian zone in Ly Nam De and Mai Hac De street, at the east side of the Han River, near the Dragon bridge from 6pm to 12pm each day.